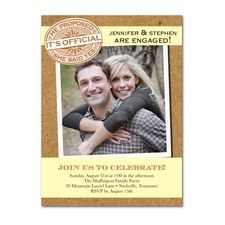 It's time to think about engagement party invitations now that he finally popped the question and you are now engaged! You want to tell the world and celebrate. 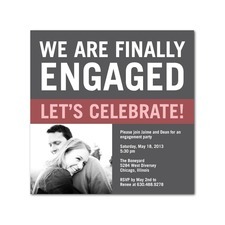 Learn all about engagement party invitations. Find out which are best in class, most economical, and even most unique and versatile. I’ve provided a great selection of quotes suitable for an engagement invitation along with samples for wording of the invitation. I have chosen Wedding Paper Divas as the best in class for traditional paper invitations because they have a large selection of customizable engagement party invitations. The creation of your invitation is easy and intuitive. There are lots of styles available to suit your taste. They provide a free proof of invitation before printing your order. They also provide for the option to pre-printed return address on the envelops for a nominal fee. What a timesaver! Even get a Free Wedding Website from Wedding Paper Divas. Smilebox was chosen as most unique and versatile because your invitation can be customized with photos, videos, music, and event details that can be emailed, printed, posted to facebook, made into a collage, scrapbook, or even a slideshow. SmileBox has a Free 14 Day Trial Offer so you can see if this option is right for for you RISK-FREE! You can even use Smilebox to create a slide show for the reception or a digital scrapbook of the wedding. 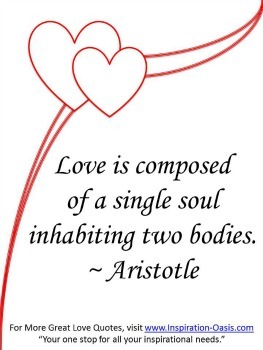 Love is just a word until someone comes along to give it meaning.